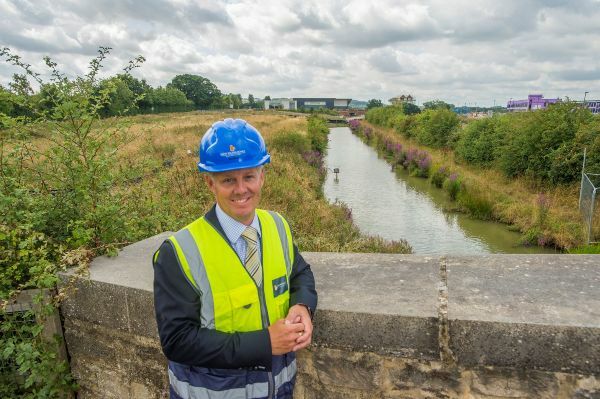 The joint venture group set up to create up to 2,750 new homes at Wichelstowe south of Swindon has appointed Daniel Pavely as project director. Wichelstowe is a joint venture between Swindon Borough Council and Barratt Developments to develop a 250 hectare area of land. Homes will be marketed by David Wilson Homes and Barratt Homes. Daniel moves to the Wiltshire development after working for David Wilson Homes in Newbury where he has overseen construction at Newbury Racecourse, a major high profile mixed development of 1,500 homes which is now nearing completion. Daniel, who lives locally, said he is looking forward to overseeing such a prestigious development and is delighted to be able to deliver this unique project in his local community. “I’m currently putting together the team to work on behalf of the joint venture with a view to submitting the first Reserved Matters planning application in the next few months and we hope work will start early in 2019,” he said. The new joint venture company will combine the strengths of both the public and private sectors to create a high-quality and attractive development with Daniel based on site with the joint venture team. More than 1,000 jobs will be supported by the scheme in the initial stages and the first residents are due to move in during 2019.